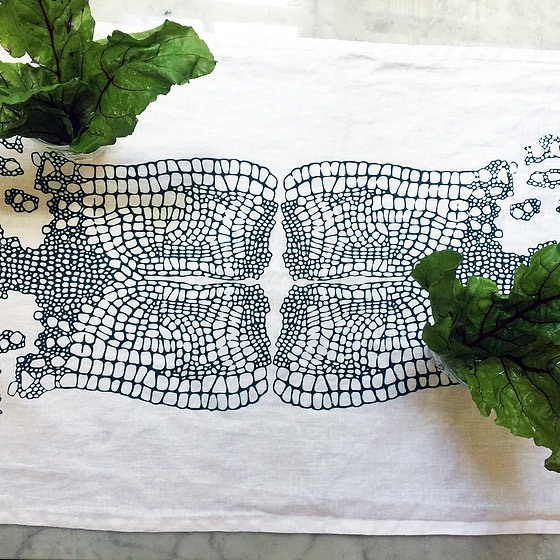 New Orleans designer Caroline Masue Muneoka, fascinated with patterns in nature and fine art, uses natural linens and cottons to create one-of-a-kind pieces that capture the essence of nature’s design. The natural fabric is hand dyed and cut from a pattern block, and each piece is printed with eco-friendly, water-based ink. Muneoka’s lifestyle brand will be available in the Museum Store through January 31.